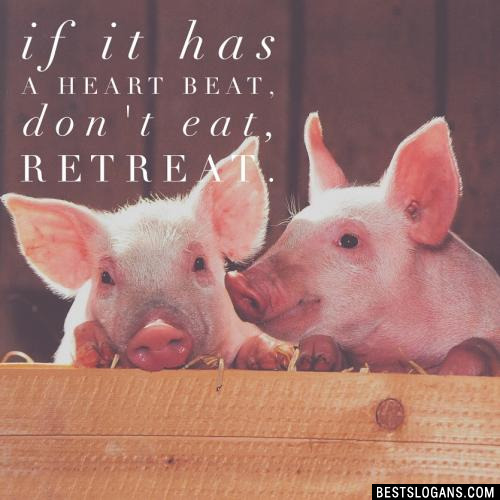 If it has a heart beat, don't eat, retreat. 22 Wings Are For Flying, not Frying. 23 There's Nothing Sweet About Eating Meat. 24 Vegetarian. The Only Ethical Choice. 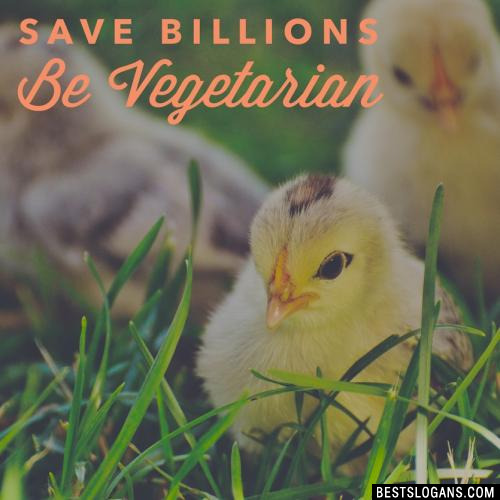 25 Spare an Animal, Eat a Vegetable. 28 If You Are What You Eat, Does That Make You Dead Meat? 29 Humane Slaughter Is An Oxymoron. 31 Feed it. Don't Eat It. 32 Even Cows Don't Drink Milk So Why Would You? 33 Don't Eat Eggs It's Stealing. 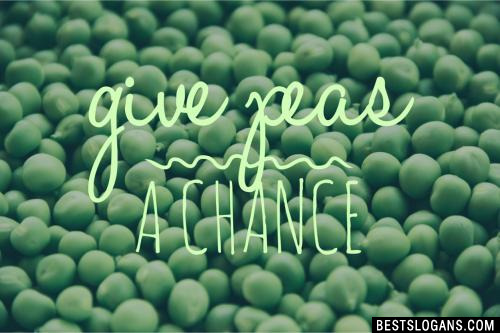 34 Change What You Eat Change The World. 36 Be Vegetarian, Be Mine. 37 Be Kind to Animals. Don't Eat Them. 38 Be Human AND Humane. 39 Animals Are Not Ours To Eat. 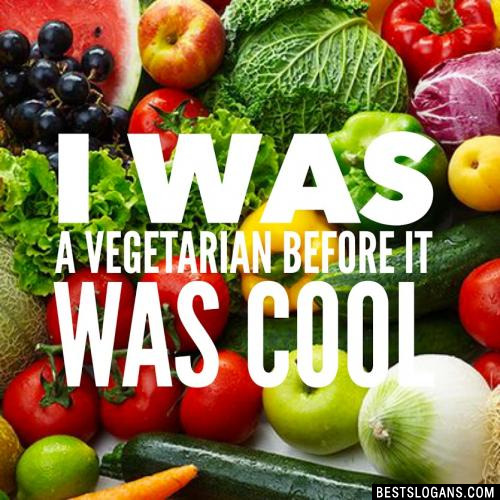 I was a vegetarian before it was cool. 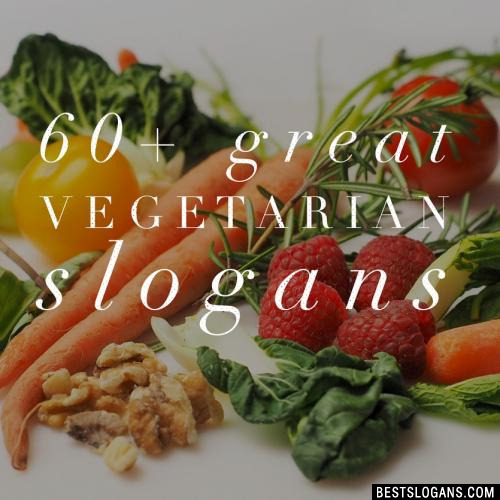 Can you think of a good Vegetarian Slogans we're missing? Or come up with a clever one of your own. Please share below.